The practice of hydraulic fracturing (a.k.a. “fracking”) is as controversial as ever across the country, with California lawmakers tightening restrictions and New York Governor Andrew Cuomo giving consideration to lifting that state’s nearly five-year moratorium on hydraulic fracturing (and nearly 150 New York cities that will maintain their own local bans no matter what Cuomo decides). Many experts say fracking is dangerous and can lead to poisonous and radioactive material entering groundwater, but that many of the concerns with fracking can be allayed if it’s done right. But, what exactly is the “right” way? Wireless Automation Group (WAG) of Broken Arrow, Oklahoma has an answer, at least when it comes to the production and completion phase of fracking, where the real danger to communities and environment lies. Much of the threat to our soil and water comes after water has been collected and must be transported. With multiple holes created in rock layers, and so much water to collect from different outlets, it is easy for this runoff to go back into the ground. Any potential spillage from water in the tanks, or while it is being transported or pumped, can have disastrous effects on local ecosystems and even, allegedly, drinking water, which has created much of the environmentalist opposition to fracking. WAG’s automation technology corrects the potential for these on-site and transportation errors that can create environmental danger. It’s not just in stabilizing and safeguarding the production and completion of fracking where WAG is making a difference. WAG President Mark Patton maintains that while the United States has the potential to surpass Saudi Arabia in barrels of oil produced, outdated and expensive monitoring systems in the U.S. not only create greater potential for fracking-related mishaps and other environmental dangers, but also hamper remote oil and gas operations. The disadvantage the U.S. faces is not with its oil supply, but how we are going about extracting that supply. All too often, critical information is received too late to prevent costly disruptions, accidents, and environmental spills. Rapid transmission of data is especially critical in limiting environmental impacts, which can easily prove a thousand times more costly than the production interruptions themselves. 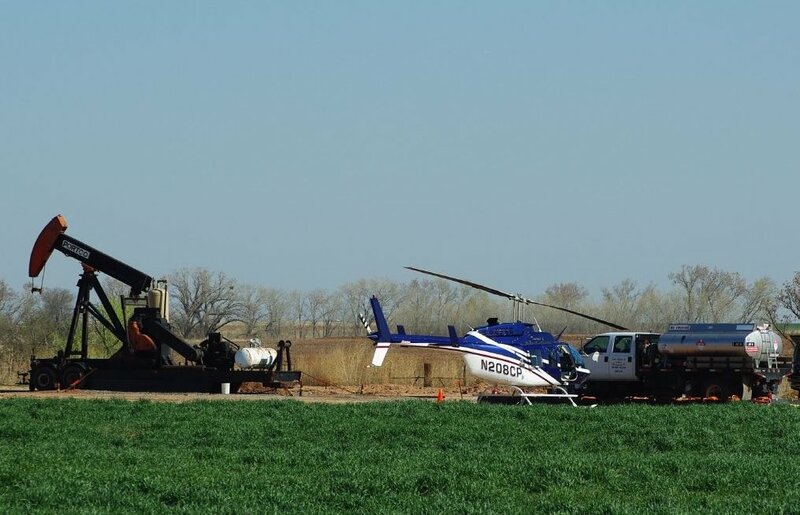 In the wake of something like a pumpjack failure or blowout, even mere minutes can mean untold costs in labor safety, environmental safety and production. WAG is moving oil production to an almost completely remote process, not only moving the human element out of danger, but adding greater efficiency and safety to U.S. oil production as well. Real-time operational status can be viewed on a mobile device via an Internet connection. Oil production monitoring can include the amount of oil taken, the start/stop of the salt water injector pump, the high/low level of the saltwater tank, and high and low pressure of the salt water line from the injector pump. This cloud-based, near real-time monitoring allows operators to manage their remote operations efficiently, to increase production while reducing risks. For example, operators can manage the variable speed drives that reduce the demand charge when the pumps start up, thereby reducing energy costs. The operator has the ability to start and stop all operations at each site in near real-time, from a safe, remote location. Operators can detect a problem within minutes, and implement an action plan to fix it before it has a major effect on production, and possibly impact the environment. For example, pumpjack failures can usually be fixed immediately. Operators can send notices of operational alarms to cell phones, as well as video monitoring and motion sensor alerts. Depending on the seriousness of the event, field teams can communicate with management for advice, support, or approval. Operations that are more extensive can include a central monitoring station. All WAG wireless platforms provide both production and security management. They can support traditional SCADA (supervisory control and data acquisition) implementations, as well as voice, data and video applications. They can keep a log of system status for EPA (U.S. Environmental Protection Agency) reports and oil company settlements. In short, WAG’s near real-time wireless delivery is key to assisting operators make timely decisions that, before now, had been severely limited by dated and irrelevant information. WAG solutions result in greater safety and security by not only optimizing production, but also by enabling the early prevention of expensive, lengthy and potentially risky repairs. Thus, timely delivery of accurate information on all phases of production systems results in higher profits optimal production and minimal incidents. WAG service offerings include design engineering, construction, installation and maintenance, database records and storage, and instrumentation and electrical solutions. They also provide systems integration of PLCs, SCADA, wireless networking, and custom control panel fabrication. Clients include municipal, public works, private, and industrial applications. Flint water crisis: Are plants the solution? There's feces in your water?